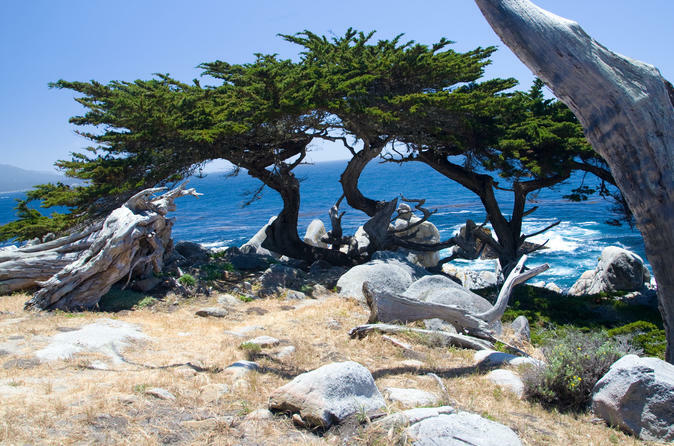 Embark on a scenic 2-day adventure to Monterey, Carmel and 17-Mile Drive from San Francisco. Travel along Highway 1 through Half Moon Bay and Santa Cruz and see the Monterey Bay National Marine Sanctuary up close. Enjoy free time to explore Cannery Row, Fisherman’s Wharf and Downtown Monterey before visiting Carmel, the world-famous Pebble Beach Golf Links and breathtaking 17-Mile Drive. The next day, explore Monterey at your leisure. Overnight accommodation is included. A perfect combination of guided and independent sightseeing, this tour is the best way to experience Monterey County!